We are relocating to 47 Clarence Road, Chesterfield, S40 1LQ - Tel: 01246 555 610. (N.B. The telephone number will not be effective until Monday 17th December 2012). This building is the perfect size to accommodate all of us, and enables us to provide the professional service we always strive to create. More than anything else though, our new building gives us the location we have been looking for. The Chesterfield office will give us the base to go on, raise our profile through networking with new as well as existing contacts, and add to our services. This will give our current and future clients a greater all-round service than ever before, as Vines increases its opportunities to be able to refer work in the wider business community. We also intend to run business networking events from our premises, as we firmly intend to establish Vines Legal within the Chesterfield business environment, and indeed throughout the Midlands as a whole. We believe strongly that we can only improve as advisers, the better connected we are. We will be hosting a new office welcoming party in the New Year – further details to follow! "Let's just get Christmas out of the way first........"
As we approach the festive season, there are more things than just buying presents and entertaining relatives which dominate our thoughts. For many, it is a time which brings their relationship troubles to the fore. Whilst it is a cliche, it is also true that January sees an annual surge in the numbers of new clients approaching family law firms about separation or divorce. The "New Year, new broom" attitude often takes over after a fraught holiday period during which tensions and differences have been exacerbated due to couples spending more time together and possibly realising that they really have come to an impasse. Here at Vines Legal, we often find that people are aware that their relationships is in trouble well before Christmas arrives to remind them - but it's something of a jolt when yet another year comes to a close and they still have unresolved issues. The end of one year and the start of another really does motivate many of our clients into making a long-delayed decision. It is more than likely that just the thought of the Christmas period yet again coming round can make people realise they don't want to spend it with their spouse or partner. However all the old reasons spring readily to hand: we always spend Christmas as a family, we can't do that to the children at this time of year, what will it do to my parents etc etc. Whilst we are not in any way belittling or marginalising such feelings, we know from experience that these emotions do not go away once the sentimentality of Christmas has passed. A visit to discuss your options at any time with our experienced lawyers does in no way mean that you are starting the divorce or even separation process. It will make you aware of your financial and legal position going forward and will shed some light on your alternatives whether you decide to act before or after Christmas. Vines Legal offers a free 30-minute initial consultation to all its clients, so you are able to discuss things with us whenever you feel ready. Facing up to things sooner can help you get on track for a brighter New Year all round. You may have read or heard in the press recently that the Law Commission has launched a Public Consultation on how the law should guide a judge's treatment of financial issues during the separation process - but what does this really mean? Could this affect you if you are considering separation? We've tried to simplify this below, and explain how the process is governed now, and how it might change because of this ongoing review. Currently, the judge in a matrimonial case has discretion to consider the case as a whole, and has the scope to treat different cases and individuals according to his/her opinion of the facts presented in court. s25 of the Matrimonial Causes Act is the legislation which allows for such discretion, it has been deliberately drafted in this manner. However, the flip side of allowing such discretion does often mean that there is very little certainty to the outcome of a case going to court - and in our view it is important for both a practitioner and a client to have an element of certainty. Frequently, our clients will ask us how we think a case will pan out for them, as it is natural in such circumstances to be anxious about the outcome, especially whilst trying to make plans for the future. An individual's home and their future income and living standards can all be dependent on a judge's interpretation of a case, and it is clearly an area which needs to be considered thoroughly on all sides. As practitioners, we want to be able to give our clients a degree of certainty, direction and information, but we also want to maintain the flexibility within the law which allows the judge to view each case individually and with care, allowing the judge some scope. What we would seek to avoid, and indeed hope the Law Commission's review indeed does avoid, is the creation of very strict guidelines stipulating how a judge must act. We do not want to arrive at a "one size fits all" treatment for separating couples, for as we all know, every family and their circumstances differ, and separation will have differing effects going forward for the individuals concerned. Here at Vines Legal, we strive to consider every client's individual position, and we realise that the personal upheaval comes at emotional and financial cost during a separation. Whilst we strive to keep such upheaval to a minimum for our clients and we would like to see more certainty, we believe it is vital to retain the scope within the law for flexibility - after all, everyone wants to be treated fairly wherever possible. The £99 Co-op Divorce - value for money? Co-op is the most recent supermarket brand to enter the family law market, with its claim to be able to complete a divorce for less than the cost of a family weekly shop. 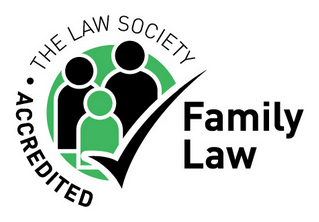 In these straitened times in which we are all now living, and with the scaling down of Legal Aid in connection to divorce and separation, it would certainly seem to be a timely entrance to the family law market. However, before we all start adding "divorce" to the shopping list, along with "cornflakes" and "bin bags", it certainly pays to take a closer look at what you actually get for your money. Co-op actually uses the term "DIY" divorce on its website, and the whole process is made to sound extremely straightforward. £99 for the paperwork, an additional £50 per hour if you would like a lawyer to check your documents prior to submission and then £150 per hour for any legal advice thereafter. There is also a hotline you can call. From reading the information on the website, you could be forgiven for thinking that it is a straightforward way to tackle divorce, and it would be best to leave all those avaricious family law practices well-alone. Who needs face-to-face contact? We think that everyone needs face-to-face contact when discussing such a life-changing process - you need to meet and talk with a person. Only then can all the necessary details come into play, as speaking to a lawyer who understands the process thoroughly will make you aware of your options in a way that simply ticking boxes cannot. The Co-op's approach does indeed look straightforward, but if you have children, money and any assets to take into account then you will soon find extra costs and time unavoidably incurred. Whilst the Co-op will gladly act for you in resolving any such matter this will involve moving on from the DIY divorce, and at such a point you will then start to be charged by the hour as you would by any other solicitor. It is not exactly clear as to whether you will be guaranteed face-to-face contact either. Our advice is, as always, to meet with any prospective adviser and decide for yourself if you wish to use their services. You need to give yourself the best possible chance of obtaining the most informed, thorough and effective legal advice available to you.